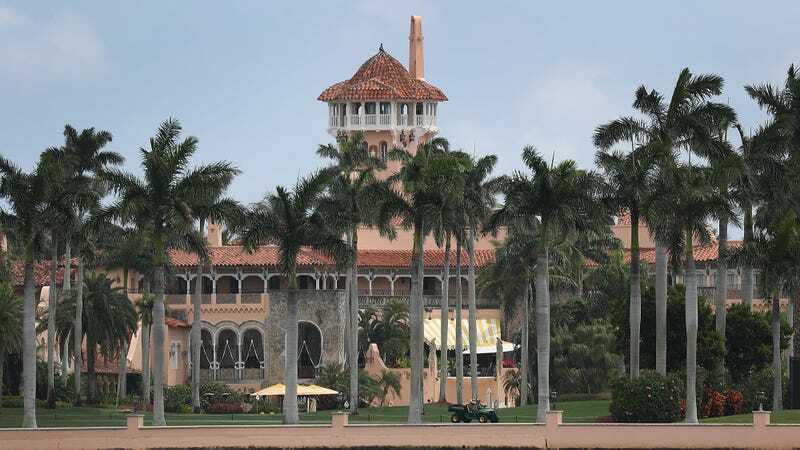 PALM BEACH, FL—Responding to the recent arrest of a woman who brought a malware-laced device to the resort, Mar-A-Lago staff apologized Thursday for the breach of security caused by admitting a guest they assumed was just another high-powered lobbyist seeking to curry favor with the president. “We strive to ensure that access to Mr. Trump is strictly limited to power brokers attempting to use their money to induce policy changes, and unfortunately, we have failed,” said Chief of Security Lance Southerton in a statement, confirming that he took full responsibility for the breakdown in protocol that led to someone other than a consultant for a Fortune 500 company or an unregistered foreign national being granted entrance to the club. “This woman never should have made it past the front entrance when it became clear she was carrying more than the standard suitcase full of thousands of dollars in unmarked bills. The entire Mar-A-Lago staff holds itself to the highest possible standard, and we deeply regret that our vetting process failed to alert us to the intrusion of a woman with no known ties to any special interest groups whatsoever. We will make every effort to be sure something like this never happens again.” Southerton added that he had already increased security across the resort by raising annual membership fees to $30,000.